Ross graduated from Guy’s Hospital, London in 2000. He is a dentist with Special Interests in Implant Dentistry and Advanced Restorative Procedures. He has placed over 2,000 implants in the last 10 years. He is a Fellow of the International Team for Implantology (ITI) – and is the Study Club Co-Ordinator for the UK and Ireland which is an extremely prestigious appointment. Ross is also a clinical mentor and registered speaker for this Worldwide Organisation. Ross has attended extensive Higher Education across the UK, Europe and North America from the world leaders in Implant Dentistry. Ross has also been awarded the highly-regarded Diploma in Implant Dentistry from the Royal College of Surgeons, London – one of few to have gained this qualification. He works closely with Straumann implant system – however he has extensive experience with many other implant systems – ensuring that he provides care scientifically proven to be long lasting for his patient’s best interests. He regularly holds implant courses and lectures nationwide and globally on a variety of topics at different levels, however he has a particular interest in Aesthetic Implant Dentistry, Digital Dentistry and Complex Bone Grafting procedures. Ross accepts referrals from colleagues for all levels of complicated treatments at both his Cirencester and Stow-on-the-Wold practices. As well as being a Fellow of the ITI, he is also a member of the Association of Dental Implantology (ADI) and the Royal College of Surgeons (RCS). His commitment to Cosmetic Dentistry maintains his Full Membership of the British Academy of Cosmetic Dentistry (BACD). To ensure his standards are of the highest possible, he regularly submits his work to scrutiny by his peers – often at national awards. Simon is a General Dentist with a particular interest in the treatment of nervous patients and complex compromised aesthetic cases involving missing teeth. Having graduated from the University of Bristol in 2006, Simon completed his vocational training in Clevedon before embarking on six months of charitable volunteering in Africa. Upon his return to the UK he worked in Oral and Maxillofacial Surgery in Newport, Bath and Bristol and continues to be involved in teaching as a Speciality Dentist at the Bristol Dental Hospital. Simon has extensive experience in Intravenous Sedation and Anxiety Control and takes great pleasure from rebuilding the confidence of anxious patients. He is a keen member of the Society for the Advancement of Anaesthesia in Dentistry. Simon was awarded Membership of the Joint Dental Faculties of the Royal College of Surgeons of England and has been placing and restoring Dental Implants for several years. He completed a Master of Science Degree in Dental Implantology at the University of Bristol in 2014 and is now a Study Club Director and Speaker for the International Team for Implantology (ITI). 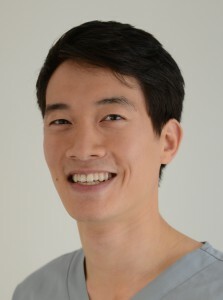 Gavin is a General Dentist with an interest in restorative, cosmetic and implant dentistry. He has a very calm and approachable character. Gavin has previously worked in Hertfordshire and spent several years in private practice in London. After graduating from Newcastle University with a Clinical Distinction and winning the Coltene prize for the use of composites (white fillings) in 2006, Gavin continued his professional development attending numerous post graduate lectures and courses. In 2008, Gavin began his implant training with an 18 month mini-residency in London’s Harley Street; further to this, in 2012, he gained a place on the Diploma for Implant Dentistry at the Royal College of Surgeons, completing the course in 2013. 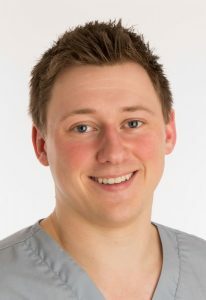 Having graduated from Kings College London, Mark worked in practice in Kent before relocating to Gloucestershire in 2015 to join our team at both Cirencester and Stow-on-the-Wold Dental Practices. 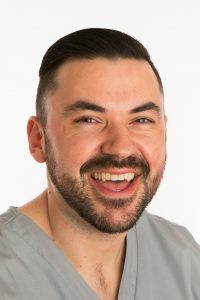 Mark has a keen interest in restorative and aesthetic dentistry and is a firm believer in taking a holistic, preventative and patient-centred approach to dental care. He is highly motivated to use the most modern techniques in order to help patients to achieve and maintain healthy mouths as well as to help those that never thought they could have a beautiful smile. 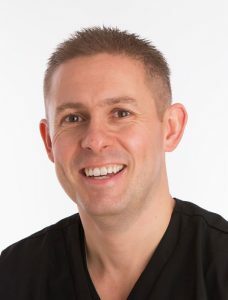 Since graduating, Mark has completed a postgraduate diploma in Primary Dental Care with a primary focus in Periodontology (gum disease) and Endodontics (Root Canal Treatment) and is a member of British Endodontic Society. Mark also has a special interest in Orthodontics and is trained and experienced with a range of fixed and removeable clear orthodontic systems. He enjoys combining these with tooth whitening techniques to give patients the straighter, whiter smile that they seek. Having completed the Straumaan Foundation in Implant Dentistry, Mark has now embarked on the MSc in Dental Implantology at Bristol University and is a member of the International Team for Implantology. Mark has also trained in facial aesthetics and enjoys helping patients enhance their complexion by reducing wrinkles and unsightly lines, or gaining volume which has been lost as part of the natural process of aging. He continues to attend courses from highly regarded clinicians on all aspects of dentistry in order to expand his knowledge. Away from the practice, Mark is a keen cricketer who plays for local club side Poulton CC. Andrew graduated from Kings College London in 2010. He completed house officer positions in Restorative Dentistry and Oral Surgery at Guys Hospital, where he started his training in implant dentistry. Having left London, Andrew has worked at private practices for the last several years whilst continuing his education into implant dentistry. He has completed several implant courses and is a member of the International Team for Implantology. Andrew has also had advanced training in facial aesthetics to enhance the cosmetic aspect of dental treatment. He has completed several courses to ensure his patients receive a high quality of care and advice on non-surgical aesthetic solutions. He attends dental courses to ensure his knowledge and treatments are the most up to date, and plans to continue his development into implant dentistry. Andrew is a keen golfer and a keen oarsman, having represented his country at International and Commonwealth levels. Joao qualified in Dentistry from the University of Porto, Portugal (ISCS-N) in 2012. He moved to the UK in 2014 and has worked in Dorset and the Bristol area since then as a General Dentist with an interest in Prosthodontics (Implantology and Fixed Prosthodontics), short-term Orthodontics (Invisalign) and minimally invasive Cosmetic Dentistry. He is currently completing his Master’s Degree in Implantology at the University of Bristol and is a Member of both the International Team for Implantology (ITI) and Association of Dental Implantology (ADI). 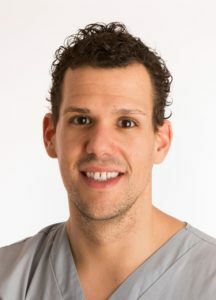 Joao has a gentle manner, which works especially well for dental-phobic patients, and always endeavours to achieve the best level of care and outcome for his patients. Having a keen focus on dental education, Joao finds that this continued professional development allows him to provide the highest standards of care as he stays attuned with the latest developments, techniques, technology and materials available. Away from work, Joao loves to travel and is a keen runner. Jo gained her Diploma in Dental Hygiene from Manchester Dental Hospital in 1994. She completed her extended duties in 2007 and has worked part time in the local area since moving to Wiltshire in 2002. She is a member of the BSDST and attends regular meetings and training courses in relation to her continual professional development profile. 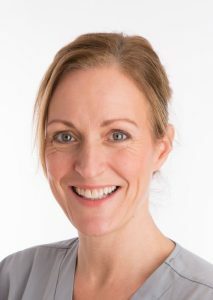 Anne began her career as a Dental Nurse in a local practice in 2001 where she gained further qualifications in Radiography and Oral Hygiene. Having always wanted to be a Hygienist, she gained her Diploma from the University of Essex in 2011. 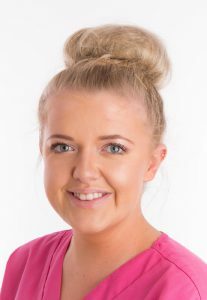 Natalie is a Dental Therapist; within this role she is qualified to perform all Hygiene treatment in addition to carrying out fillings and any treatments on children’s baby teeth. She graduated from University of Portsmouth Dental Academy in 2015 with Honours, and was awarded the Dame Margaret Seward Award for ‘Dental Hygiene and Therapy Student of the Year’. Following her graduation, she has carried out further training including Maintenance of Dental Implants and further education in the management of Gum Disease and Tooth Whitening. Natalie is a keen baker and volunteers as a Dementia friend. She is also currently learning British Sign Language on-line. 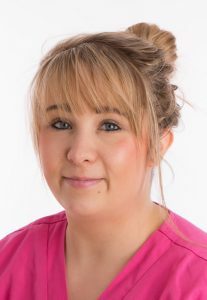 Emma joined our team in January 2014 as a Trainee Dental Nurse and has now qualified as a Dental Nurse following completion of her course with Cotswold Dental Training. Previous to settling on a career in dentistry, she has worked in retail and has completed courses in Beauty Therapy at Stroud College and Horse Care and Management at Hartpury College. Carly brings a wealth of nursing experience to the practice having worked in a variety of private and NHS practices since she qualified in 2010. 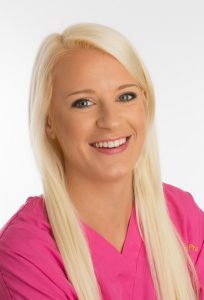 She enjoys taking on new challenges and has worked as a senior nurse and for a dental agency. 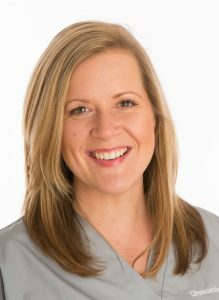 She continues to further her dental knowledge through continual professional development and has completing her Dental Radiography training. 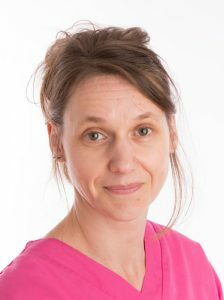 Having started work at Stow-on-the-Wold Dental Practice in August 2015, Teresa passed her Dental Nurse Training programme with Cotswold Dental Training in February 2017. Teresa spent her early working life in a pharmaceutical and dental environment, but put her career on hold to raise her children. Since returning to the work place, Teresa enjoys spending her time between both Cirencester and Stow-on-the-Wold Dental Practices and looks forward to continuing her professional development. Mikaela is local to the area and joined us in January 2016 having started her Dental Nurse training at a Swindon-based practice. She has now qualified as a Dental Nurse following completion of her course with Cotswold Dental Training. Prior to her move into dentistry, she spent several years in the fitness and leisure industry and is a qualified Life Guard and Level 1 Football Coach. Prior to settling on a career in dentistry, Jess completed a Health and Social Care Diploma and worked in the retail sector. 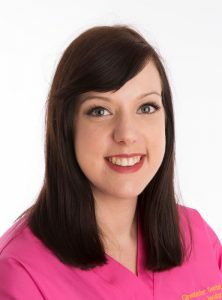 Jess joined a Worcester-based practice in 2012, completed her Dental Nurse Training at the Charles Hastings Education Centre, and qualified in 2013. She has recently relocated to Gloucestershire and we are thrilled to have her join our team at Cirencester in January 2017. Ellie is local to the Cirencester area and having finished her A-levels has been considering what she would like to do next. Having spent some work experience days with us, she has now decided that she would like to pursue a career in Dental Nursing. She is enrolled on a Dental Nurse Training programme with Cotswold Dental Training that is due to commence in 2018. Gaynor started her training in 1969 as a Dental Nurse and is still GDC registered. Prior to relocating to Gloucestershire in 2010, she worked at a private practice in Kent for 18 years; first as a Senior Receptionist; and then as Practice Manager. 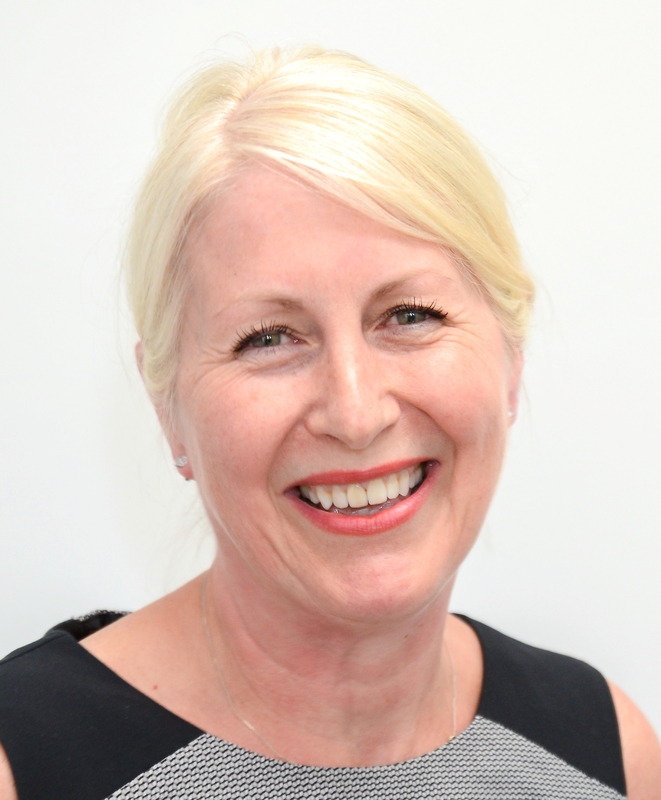 Gaynor is Practice Manager of both Cirencester and Stow-on-the-Wold Dental Practices and continues to further her dental knowledge with continual professional development. Zoe has been with the practice since it’s opening in January 2010 and is local to the area. Prior to joining us she has had 17 years of experience in a variety of PA, administrative, event and marketing management rolls, including 7 years as a Director of a local polo club and 5 years in the Marketing Department at Dyson. Away from work Zoe enjoys a busy home life with her son Jack and trying to squeeze in the occasional bike ride or gym class. Jo brings a wealth of knowledge to our Reception Desk having worked within the dental industry for many years as a dental nurse, receptionist and practice manager. She remains a registered Dental Nurse and continues to further her dental knowledge with continual professional development.